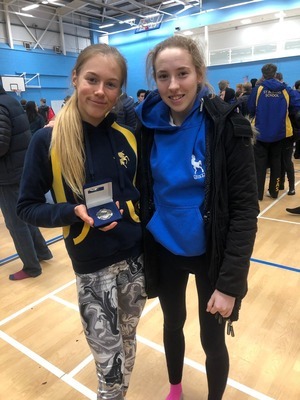 Congratulations to Maisy, Year 11, and Lilly, Year 12 who competed at the prestigious Knole Run in Sevenoaks. Competing against girls from some of the country's top schools, Maisy finished in a fantastic second place - just one second behind the winner, with a time of 19 minutes 14 seconds. Lilly came in 43rd, with a time of 23 minutes 35 seconds: a fantastic finish for our Team GB Triathlete. This put her in the top half of the 95 girls competing in this highly prestigious competition.